Two of the most common ways to assume authority over another person’s affairs are through Power of Attorney and executorship. Both positions allow an individual to make decisions on behalf of another, but in differing ways and situations. Power of Attorney gives someone the authority to act on someone else’s behalf for certain matters. A Power of Attorney agreement remains valid during the principal’s lifetime, and automatically ends upon the principal’s death. What Is the North Carolina Statute for the Time Period for an Executor to Settle an Estate? An executor handles a decedent’s estate after he passes away. The executor has no authority during the decedent’s lifetime. Someone who has Power of Attorney has the authority to make decisions for the principal, but is limited to what powers are outlined in the agreement. An executor has the authority to handle the estate as the decedent would if she were still alive. 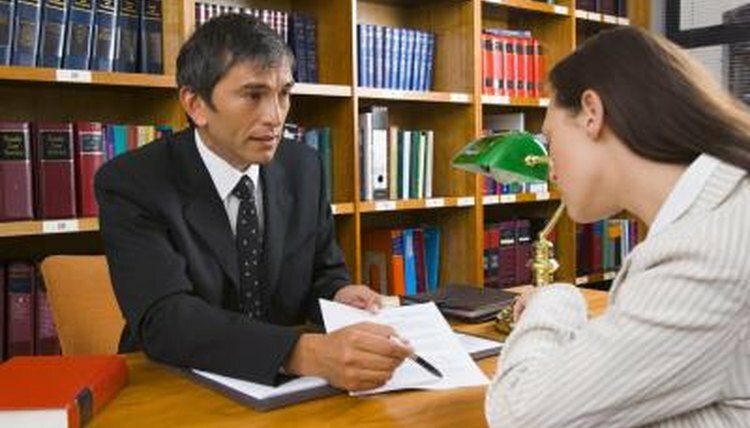 The agent in a Power of Attorney agreement has a responsibility to the principal and her best interests. The executor of a will has a responsibility first to the decedent and his wishes (as described in the will), then to the estate, the estate’s creditors (including the IRS), and the beneficiaries. An agent’s powers can be revoked at any time by the principal for any reason. An executor’s powers can only be terminated by court order. Agents and executors can also voluntarily resign from their positions at any time, with or without cause. "Power of Attorney Handbook (6th Ed. );" Edward Haman; 2006. Ferland, Carrie. "Difference of Power of Attorney & Executor of Will." , https://legalbeagle.com/5783096-difference-power-attorney-executor.html. Accessed 19 April 2019.